I know that this selection was a hard one and that also it definitely threw Jamen off. He had no idea I would pick Boston, a band notorious for "Arena" Rock of the late 70's. 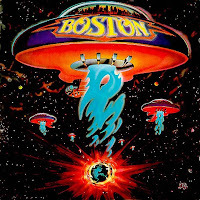 Boston's self titled debut album brings a punch of great hits with an infectious sound including: More than A Feeling and Foreplay/Longtime. I remember first hearing this album on a cassette as I was riding in a car with my Aunt when I was around age 10 or 11. I thought More Than a Feeling was a great song, bought the CD, and proceeded to play it over and over; falling in love with the rest of the album as I listened to it. All this album really did for me was open up my eyes to classic rock of the 70's and 80's as well as take me away from the pop scene most others my age were listening to. This album was received well when it first came out too. It still ranks as the 2nd highest selling debut album of all time, right behind Gun's n Roses Appetite for Destruction. 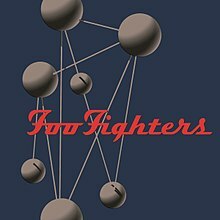 In how Boston opened my eyes to classic rock, the album The Colour and the Shape by the Foo Fighters opened my eyes to modern rock of the 90's. I got this album when I was 16 and it immediately stayed in the CD player of my truck constantly for rotations of a week at a time. Along with the popular songs Everlong, Monkey Wrench, and Hero, I also am a big fan of Wind Up and Walking After You. This song offers a much different, softer mellow side of Dave Grohl and shows the diversity of the band in my opinion. Neil Young is definitely the most different artist in my top 10 his vocals don't come out and blow you away that's for sure. But really I feel like his distinctive sound and style are definitely what jumped out at me and caught my ear. I was introduced to Neil Young's music as a student in my sophomore year of college while taking "A History of Rock Music in the 70's and 80's" taught by Prof. Andy Hollinden (which by the way I consider to be the single best class offered at IU, and the most beneficial class I've ever taken). Anyways, in class Prof. Hollinden played the song The Needle and the Damage Done , a song written as a tribute to a friend whom Neil had known that died due to drug overdose. The lyrics of that song seemed to reach out to me and made me want to explore more of his stuff. One need look no farther than Harvest. With songs like Heart of Gold and Old Man, you can't go wrong with this album if you are interested in hearing the early sound of Neil Young. The recurring theme to my part 1 post seems to be debut albums. 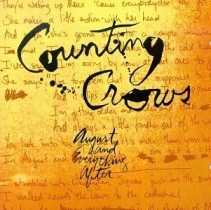 I began listening to this album by the Counting Crows my freshman year of college and instantly became a fan. Unlike the album on Jamen's top ten this version is all of the studio/radio played versions in their original form. Although usually I'm a bigger fan of live albums, I'd say that I prefer this version because it's what I listened to first. There is no scientific explanation behind my reasoning, just that the more often than not, the version of a song you hear first is the one you're going to preference. That is the case with my own preference of August and Everything After. Mr. Jones, Omaha, and Round Here. Two of my favorites on the album are Rain King and Sullivan Street as they are the two that I feel are less mainstream. If you had to choose one Counting Crows album and were stuck in a deadlock tie between Across the Wire and August and Everything After, you really can't make a bad choice. All in all it's a win win situation . Blind Melon's self titled album is one I had a very hard time placing on my list and it could definitely be much higher than it is. Lead singer Shannon Hoon's brilliance is beaming out of this album as soon as you hit play. As I've written before what really grabbed my attention was Hoon's distinct voice and style. Two of the more popular songs that are more frequently heard are No Rain and Change. As I listened to the album over and over again I became a fan of Sleepy House and its harmonious lyrics referencing the house in which the album was recorded. I highly recommend checking out Blind Melon's debut album and just letting it play on repeat, you'll thank me later.